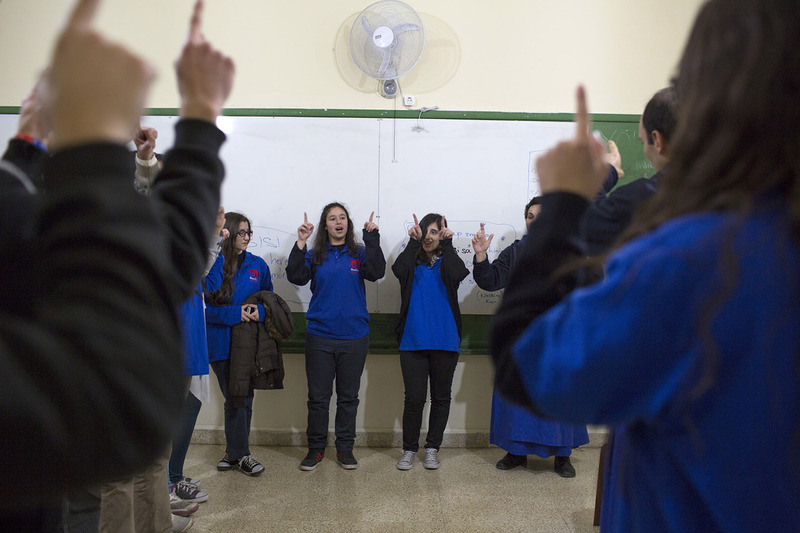 BEIRUT — The future of Lebanon’s long-standing tradition of Catholic education is at risk because of a controversial law governing teacher salaries. Salary increases for teachers in the private school sector are called for in a law that took effect in August 2017. As a new school year unfolds, school administrators are struggling with how to pay for the raises. Of Lebanon’s more than 1 million students, 70 percent attend private schools, according to the country’s General Secretariat of Catholic Schools. About 20 percent of private school students attend Catholic schools. While the law in question ordered new salary scales for workers in the public sector, it was also applied to private school teachers. To pay for the public employee salary boost, the Lebanese government increased taxes. But the private schools were left with no mechanism by which to cover teachers’ raises. Because they receive no financial support from the government, Lebanon’s Catholic schools — which are typically run by religious orders and are not parish schools — rely on tuition paid by the families of enrolled students. The law requires private schools to raise the salaries of teachers without considering that families must pay the school fees, said Jesuit Father Charbel Batour, who serves on the executive committee of the General Secretariat of Catholic Schools and is rector of College Notre-Dame de Jamhour, a Jesuit-run school founded in 1850. 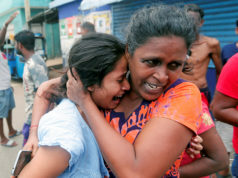 “The law has been rushed, not well studied,” Father Batour told Catholic News Service. So far, the increase of salaries “has not been applied fully because all the private schools of Lebanon are saying that the law somehow is contradictory and not fair,” he said. “There is a sort of a general refusal of the law which led the majority of the private schools to give half of the increase but not the total because we are waiting for a solution that we hope will come from the parliament,” he explained. Lelette Chaer, president of the teachers committee at the Jesuit school, told CNS that teachers welcomed the raise. “In fact, they view it as a long overdue and much-needed adjustment to their salaries,” she said. “The salary of a typical educator today is extremely limited to the point that it is no longer enough for him or her to meet the basic expenses of a decent life, let alone raise a family in today’s economy,” Chaer explained. Schools have raised tuition to cover part of the raises. Many families, unable to afford the increase, have reluctantly switched to public education for their children. Consequently, because of the law, more than 500 Catholic school teachers have lost their jobs. While there have not yet been a significant number of schools that have closed because of the crisis, Father Batour said, “the question is about the future.” He cited a Catholic school in southern Lebanon that dates to the 19th century that had to shut its doors. Especially at risk are smaller Catholic schools in villages. The law comes against a continued downward spiral of the Lebanese economy exacerbated by the outbreak of conflict in neighboring Syria in 2011 and the arrival of more than 1 million refugees, equal to one-fourth of Lebanon’s population. Catholic schools in Lebanon are known for educating not only Christians, but Muslims as well. Christians account for approximately 40 percent of Lebanon’s resident population. “We have a tradition of collaboration, or openness between the two communities (Muslim and Christian) through the schools,” Father Batour said. The Jesuit said that in the Bekaa Valley, for example, there are three Jesuit schools, one of which 84 percent of the students are Muslim. “We have a mission: a spiritual mission, a human mission, and a social mission,” Maronite Father Boutros Azar, secretary general of the General Secretariat of Catholic Schools, told CNS of the role of Catholic schools in Lebanon.”Our Catholic schools are like a bridge between Eastern and Western civilization. The way we teach: to be open to other cultures and religions. We teach about freedom,” Father Azar said. “Financial planning in any organization is the job of the administration,” she said.